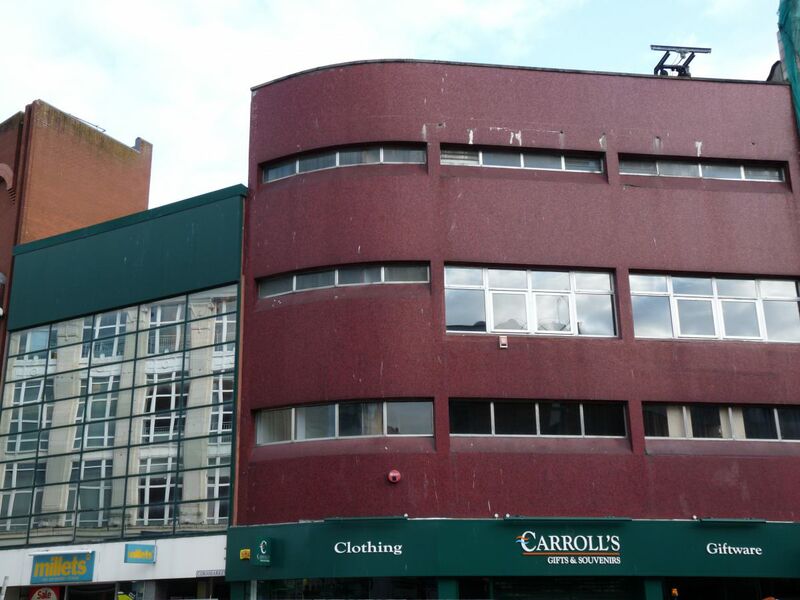 2 – 6 Castle Place and 1 – 9 Castle Arcade is a four storey building built c1980. 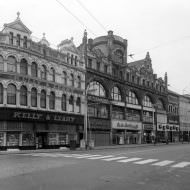 Two of the second floor windows were enlarged by the NI Transport Holding Company in 1989. The building was acquired by Farmers Inns Ltd in 2001 and then by Wildrose Properties (3) Ltd in 2008. 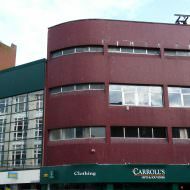 Carroll’s Irish Gifts & Souvenirs opened in the ground floor unit at 2-6 Castle Place in autumn 2008 and continue to trade. Wildrose Properties (3) Ltd was placed into administration in March 2012 and the building was placed on the market by the Administrator’s agent, Lisney. The initial guide price in autumn 2012 was £2.25m. The building was still on the market in autumn 2013 although subsequently sold in March 2014 for c£1.2m. 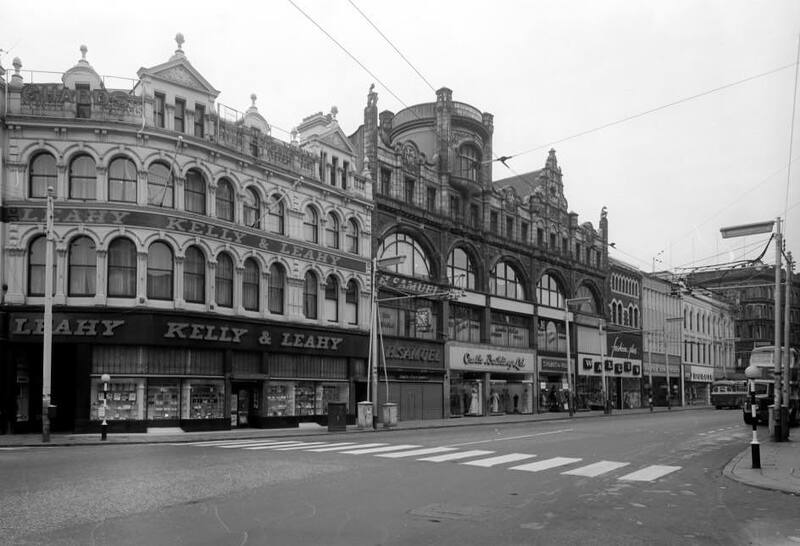 Previously on this site was a four storey building designed by Watt & Tulloch and built by Courtney & Co. for Kelly & Leahy, tobacconists. Established in 2006 to independently document Belfast’s changing built environment.